P&O, Britain’s largest operator, gains his wrath. The Arcadia, Aurora Azura, Britannia, Oriana and Ventura win four-star accolades while the popular family Oceana is rated only three-star. This might be something to do with Ward’s whole outlook, always keen to promote five-star ratings, and swanky suites outside the financial range of most of us, while sometimes denigrating sound commercial products aimed at ‘middle England’. Interestingly, P&O is just about to spend a whole lot of money on Oriana, which will undergo a three-week refurbishment in Hamburg at the end of November. The adult-only mid-sized ship will receive a complete makeover of its cabins, restaurants, bars, entertainment areas and public spaces to provide a whole new elegant and sophisticated look. Perhaps P&O Cruises senior vice president Paul Ludlow should look at Oriana next, the only ship in the fleet not purpose-built for the Southampton-based operator. Consistent standards is what the public demands. The 2017 Berlitz edition is a record both for pages (736) and the number of ships (295). There are still some blatant mistakes, Crystal Serenity’s indoor pool is long gone, replaced by Tastes, which gets due praise. The Berlitz guide is really two books in one, the front part, culminating with “The Star Performers”, a packed 186 pages telling the reader just about everything needed to know about cruising. It really is for those contemplating going to sea for the first time, but it has been rejigged this time around, “Choosing the Right Cruise” one of the opening chapters. If you are thinking of a complete circumnavigation of the world, these are listed for 2017. 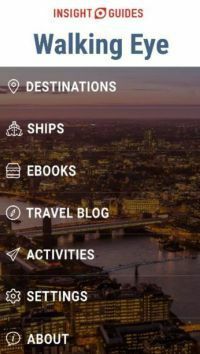 There are sections on cruising for families, solo travellers, romantics (getting married on board), seniors, special needs, expeditions, coastal cruises, cruising under sail and transatlantic crossings. The major cruise companies are discussed individually while those generally with smaller fleets do gain useful reviews. Part two is a pure reference work with all the ships listed in alphabetical order. With previous editions, Ward has just repeated the editorial. For Golden Princess, read Grand Princess. But no two ships are identical. This time around, he has tried to vary the comments. If you are one of those people who like to book ahead with the latest offering, Ward lists the future new arrivals including hitherto high-class river operator Scenic for the first time (2018) and a brand new sail ship, Star Clipper’s Flying Clipper (2017). Saga’s first ever new-build is listed (2019). Once again “Todays Activities” is highlighted using Queen Mary 2 as an example but someone at Southampton ought to update (the locally-based) Mr Ward with a current programme. Surely there is a later film on than ‘Best Exotic Marigold Hotel’ in the Illuminations Cinema, which was in the 2016 book. 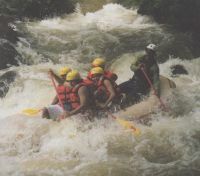 There is a section called “32 Destination Excursions to Experience” which is really a travel-guide piece. Hurtigruten gets a short listing all by itself, although Fram is featured in the main guide. There is an updated cuisine chapter featuring more tips about healthy eating. 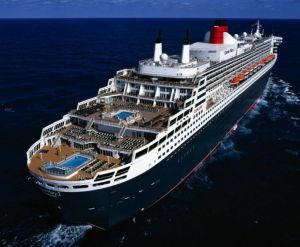 Further on, you will read of Queen Mary 2’s remastering. This has certainly paid dividends, Cunard’s flagship winning back the award of “Top Large Resort Ship” from a German competitor. Europa is still rated as the lead ocean-going cruise ship, but it is very much smaller at 44,000grt, and 516 passengers. QM2 is 146,000grt and 2,600 cruisers. Full credit to Cunard in keeping up standards on such a large vessel. While some may say it is three-class with Queens Grill, Princess Grill and Britannia accommodation in separate eateries, in fact everyone mixes together for the most part. Virtually every ship these days, of any quality, has a speciality restaurant. With QM2, it is now Verandah replacing Todd English. The best mid-size ship is Viking Star; boutique ship, SeaDream 1; for families, RCCL’s Oasis of the Seas; teenagers, Disney; the most luxurious suites afloat (Mr Ward likes to test these), Crystal Serenity penthouse, for spas, Aida wins; for child-free cruising, Arcadia; and Crystal once again for foodies. But that is a matter of taste. The Cunard flag has flown on 248 ships since the company inaugurated the first scheduled service across the North Atlantic in July 1840 and the company fleet list certainly contains the names of some of the most famous ships ever built. Of those, one ship, perhaps its greatest ever, remains one of the most beloved ocean liners ever to sail. That ship is Queen Mary. SEE ON TOUR. She entered service 80 years ago in May 1936. Queen Mary 2 was “remastered” at Hamburg in June, a task taking just over three weeks and costing nearly £100m. Cunard added 30 balcony suites and cabins and 15 solo traveller cabins. Alison Clixby was in overall charge of the project. “This year is the original Queen Mary’s 80th anniversary, so it’s only fitting that there are so many of her designs inspired and reflected back in Queen Mary 2 remastered. With a wealth of art deco features and details the original ship was a true inspiration. 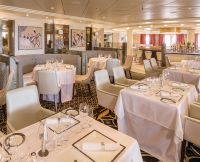 The Verandah restaurant has returned, making its first appearance on Queen Mary 2 since originally arriving on Queen Mary 80 years ago. That original Verandah featured artwork inspired by the circus with a striking black carpet. That is still the same with the 2016 incarnation. In the Grills suites and restaurants, a scheme of soft tones contrast with bold colours and fine detailing has been applied to honour Cunard’s art deco heritage. New contemporary carpet patterns have been inspired by the geometric diamond designs first seen on Queen Mary in the 1930s. When Queen Mary entered service, she offered kennel facilities on board for the most famous pampered dogs and cats in the world. On the suggestion of regular traveller the Duke of Windsor, Cunard installed a lamppost and a fire hydrant in the kennel area. These two items now take pride of place in the refurbished and extended kennels on Queen Mary 2. As well as taking Queen Mary as a reference for the new designs, Cunard reached into its unrivalled past with art deco chandeliers and fixtures and fittings throughout the transformed Kings Court buffet restaurant area that have been inspired by the intricate designs of the bright and airy grand Booking Hall in the famous Cunard Building in Liverpool. It would seem that Ms Clixby took a look at the grand offices when the three Queens were in Liverpool last year. And also delving into the past, the name Carinthia has been used for a brand new elegant and sophisticated lounge that replaces the Winter Garden on board, where guests can enjoy premium coffees a light breakfast and lunch options. Cunard thrives on nostalga. 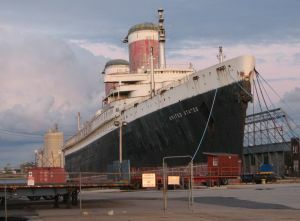 With this cruising issue of BTN somewhat devoted to RMS Queen Mary, sadly we have to report that the SS United States, the ship built to compete with it 20 years later, will be no longer be going to sea. In fact, it has been laid-up in Philadelphia since 1996. A national reunion of former crew members and passengers is planned in Philadelphia on 17 September. To its great credit, the quality cruise line Crystal, owned by Genting, announced a comprehensive feasibility study in February convening a world-class team of engineers and experts with the goal of converting the iconic 1950’s-era vessel into a modern, luxury cruise ship that would comply with all modern safety and technical standards – unprecedented for a single-vessel refurbishment. Following an intensive, $1m six-month evaluation, Crystal Cruises has determined that while the SS United States is structurally sound, the technical and commercial challenges associated with returning the historic liner to service as a modern cruise ship have unfortunately proved insurmountable. “Unfortunately, the hurdles that would face us when trying to bring a 65-year-old vessel up to modern safety, design and international regulatory compliance have proven just too great to clear in both a technically and commercially responsible manner,” said Crystal president and CEO Edie Rodriguez.